A virtual titling program that focuses on excellent training progression for any dog sport! Each TEAM level adds complexity for the dog-handler team, presenting them with a wide range of interesting skills to master right from the start. There’s no reason to hold back on training for distractions, distance work or jumping while teaching your dog to heel! …To prepare you to compete in any sport or venue that you might enjoy! 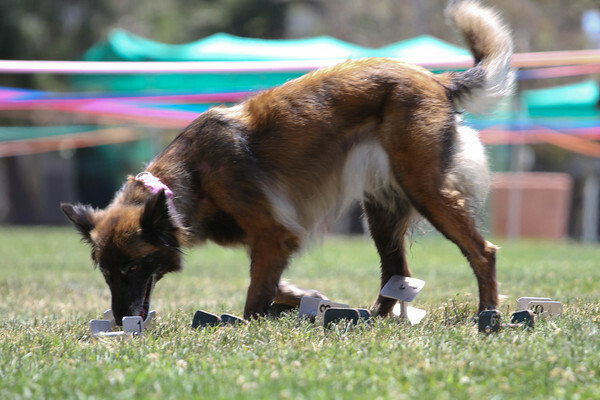 Instead of focusing on finished behavior chains for any one sport early in the titling process (for example, formal heeling for obedience or scent work for nosework trials), TEAM emphasizes that the dog-handler team demonstrates components that create training excellence for any sport. By gradually adding distractions, changing locations and removing reinforcement opportunities, the team can complete tests and earn titles in a way that encourages excellent training — gradually increasing challenges while building complex chains of behavior over time and in a systematic fashion. Video titling allows you to review your submissions before paying for a run — so be sure to watch your own video and carefully review it against the rules! Excellent chains of behavior are the product of excellent foundation skills, regardless of the sport. TEAM levels 1-3 focus on testing the handler’s applied training skills: can you work with reduced reinforcement, distractions and formality, and still maintain a high level of precision? If you can then you are demonstrating training excellence! Levels 4-6 focus in on obedience exercises. 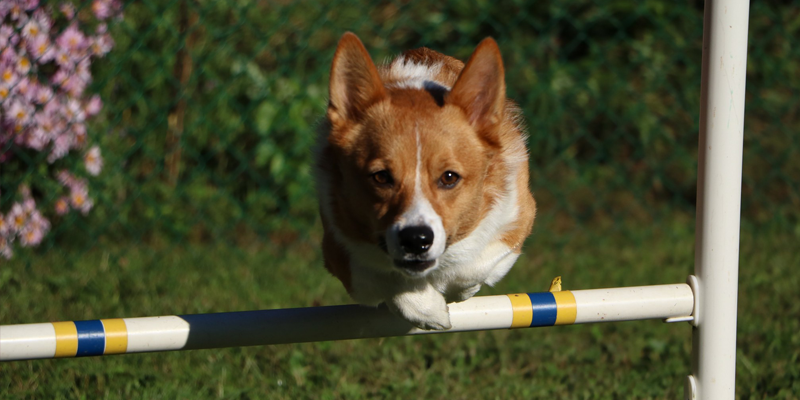 A dog with a TEAM 6H should be well equipped to quickly progress in almost any obedience venue! Pre-levels are optional titles to provide handlers feedback from TEAM judges. PLUS titles require dog-handler teams to demonstrate their skills in new locations. Before testing, teams must earn Plus OR Honor titles for levels 1-3. Levels 4-6 begin testing more complex chains with increasing challenge. Designed to test important foundation skills, breaking later skills into component parts. Honors titles are optional and showcase the ability to work with reduced reinforcement. Like Plus and Honors levels 1-3, these test generalization and reduction of reinforcement. The easiest way to learn more about TEAM and to get started is to jump in and give it a try! The TEAM program has a very active and supportive FB group to get you on your way; join our group and become a TEAM player! The group is great for discussing training individual exercises with other trainers, learning more about the rules, and getting feedback on your videos with your own dogs. Still trying to wrap your head around how it all works? No problem — we’ve made a page just for you! It will walk you through everything you need to know about the benefits of TEAM, how it works, and what you need to do to get involved. Click Here to Keep Learning!